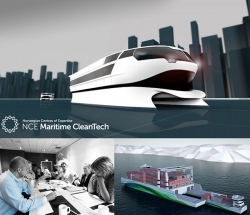 NCE Maritime CleanTech, a Norwegian business cluster and commercial hub for clean marine solutions, is establishing a catapult centre for its 80+ partner companies that will act as a national testing and innovation facility for the development of greener and smarter energy technologies. The Sustainable Maritime Norwegian Catapult Center (SMNCC) is being funded by SIVA (the Industrial Development Corporation of Norway) and will give industry players access to facilities to test sustainable energy systems, such as batteries, fuel cells and hybrid technologies, as well as receive help with prototyping and piloting. The SMNCC will also provide opportunities to test new technologies on operational vessels provided by Norled, Knutsen and Solstad. The Switch Norway, a member of NCE Maritime CleanTech and one of Europe’s largest privately-owned test centres for marine power electronics, helped initiate the project. Asbjørn Halsebakke, the company’s general manager, believes that “access to the physical infrastructure for development and innovation is of major strategic importance for our competitiveness and future value creation in the marine industry. This catapult centre will be an important learning area to help us create more innovation and strengthen Norway’s position as a marine nation”. The SMNCC, which should also help NCE Maritime CleanTech members meet Norwegian targets of reducing emissions by 40% from the non-quota sector by 2030, is one of three winning entries from 15 business clusters that applied to SIVA to fund a new catapult arrangement. The two other winning catapult initiatives will be supported by Bergen Technology Transfer and ÅKP Blue Innovation Arena. The Norwegian government has awarded a total of US$15.5m for catapult centres in 2018.